NBA presidents: The best pro basketball analogues for George Washington, Warren G. Harding, Barack Obama, and more. The best NBA analogues for George Washington, Warren G. Harding, Barack Obama, and every other president. Barack Obama is Derrick Rose. Rock is right on one count—Obama is no Michael Jordan. But Charles Barkley? Shaq? Those guys don’t have much in common with the 44th president either. 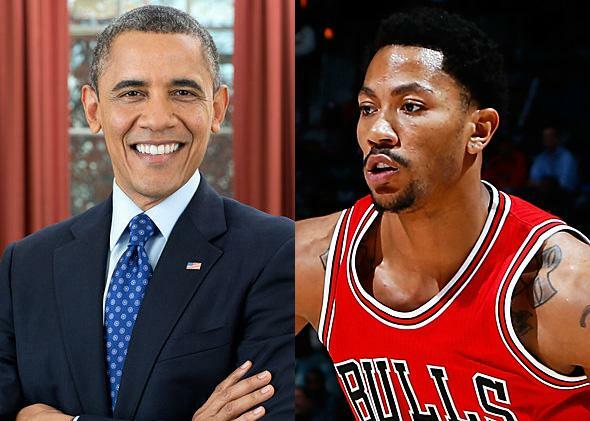 Which NBA player is a better match for Obama? Who’s George Washington, Abraham Lincoln, and Rutherford B. Hayes? You’ll find all of those answers and more in our full list of presidents and their NBA analogues. If you disagree, let us know in the comments where we went wrong. Photo illustration by Slate. Photos via Wikimedia Commons, Getty Images.